Defensemen were all in black, pairings were as they were in last night’s game. 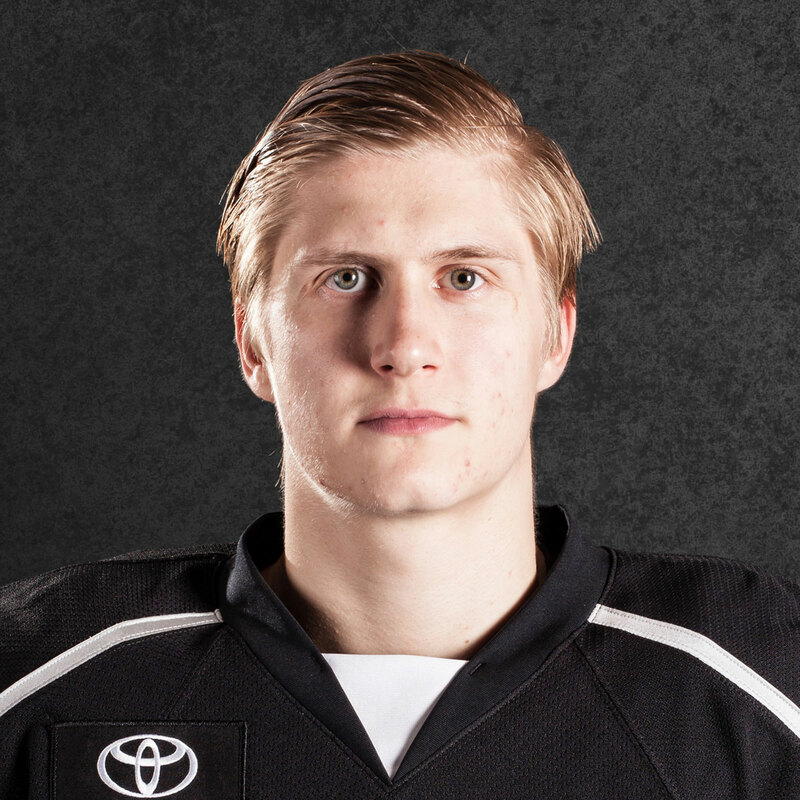 While Carl Grundstrom’s play (2 goals, 1 assist) got most of the accolades in the victory, it was actually forward Philippe Maillet who led the visitors in points with a four-point effort. Maillet tied an AHL career-high with his four assists (3/24/18 @ SJ) in the 6-3 win over the Gulls. Maillet assisted on all three goals scored by his linemates – two by Grundstrom and one by Matt Moulson – as well as defenseman Matt Roy’s empty-net tally, which iced the game inside a minute to play. Maillet’s performance marked his second four-point game of the season, both of which have come against San Diego (3 goals, 1 assist on 12/22 at the CBBA, a 7-6 Ontario victory). 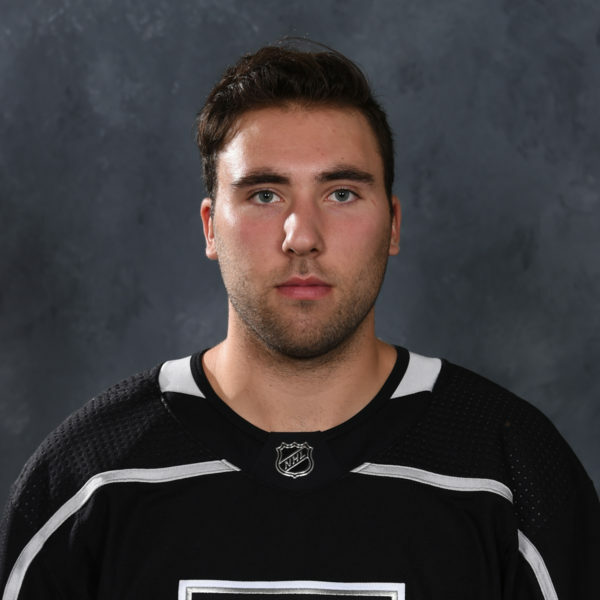 The Reign have collected a point in 14 of the 18 games this season that Maillet has tallied a point himself and are 5-0-1 when Maillet has a multi-point game. 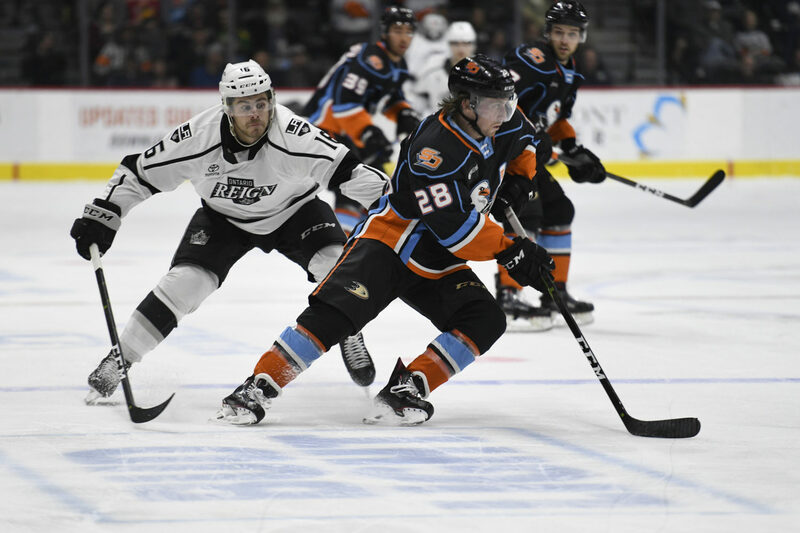 The second-year forward now leads all Reign skaters with 21 assists this season, with his 29 points ranking third on the team, behind just Moulson and forward Sheldon Rempal. The Quebec native has seen his point-per-game pace increase (.56 to .69) from last season to this and tallied his first two professional hat tricks in December. I think we had a lot of o-zone time and usually it helps to create some plays. I think overall, as a team, we played a really good game. It was good to get some points, get a win, it was just a fun game yesterday. He obviously shoots really well and he’s a really good goalscorer. Every time you can put the puck on his blade for a good opportunity you know good things are going to happen, so that’s what I tried to do. We felt really good. They have a good team, a good lineup. It just shows that we can pull off those games and looking forward to tomorrow. Yeah for sure. We’ve been going through a tough stretch right now, so hopefully we can get those win, stack a couple of wins together. It really gives us confidence [moving forward]. It’s a team sport, so you need everybody to contribute. It was good to see [the Devane – Bauman – Imama line] get rewarded. Sometimes they don’t get the credit that they deserve, they do a lot of good things. It was good to see them get on the scoreboard last night. 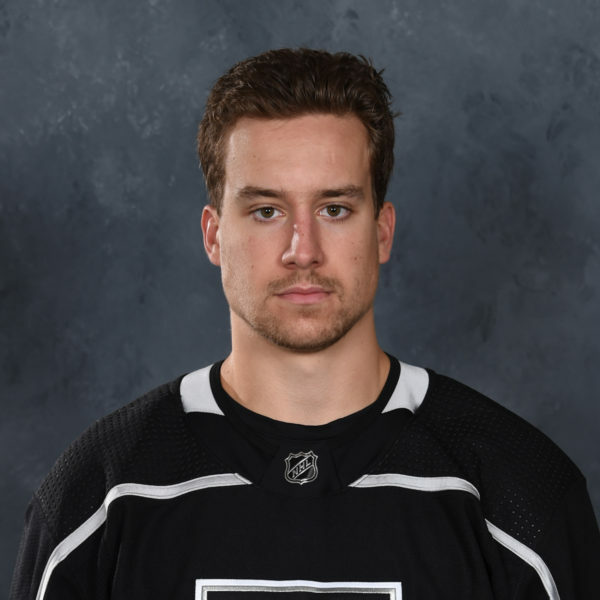 – Defenseman Daniel Brickley skated this morning in a tracksuit prior to the Reign’s practice, overlapping with the full group by a couple of minutes. A timetable on his return has not yet been released, but it’s good to see Brickley around the rink again and back on the ice. 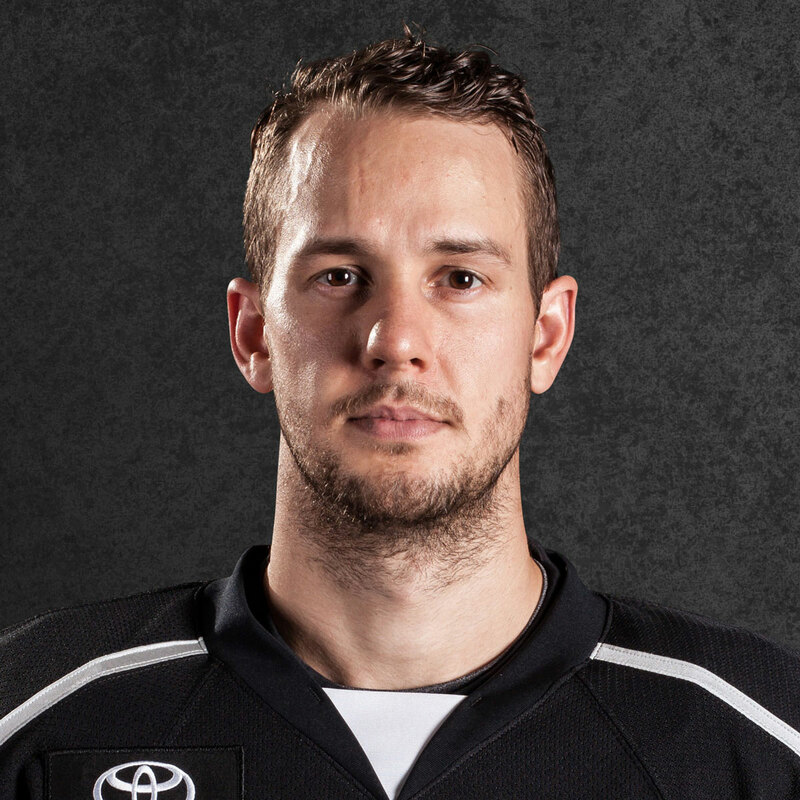 The rookie defenseman has been sidelined since he suffered a lower-body injury on January 9 in San Jose. – Ready for some Purple Reign? 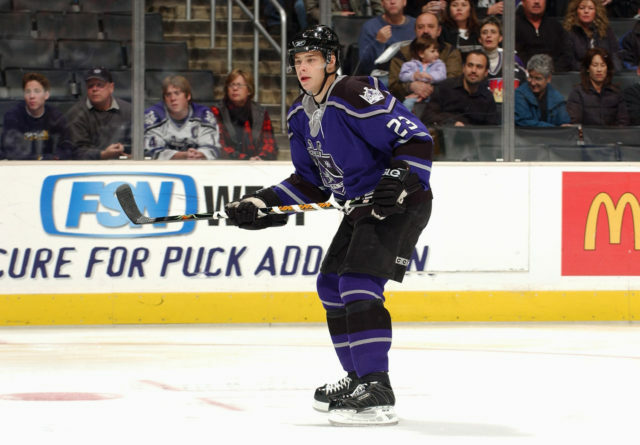 Tomorrow evening is LA Kings Night with the Reign, with the home side paying homage to the early-to-mid 2000’s purple, alternate jerseys that were donned in game action by current Kings Anze Kopitar and Dustin Brown early in their careers. 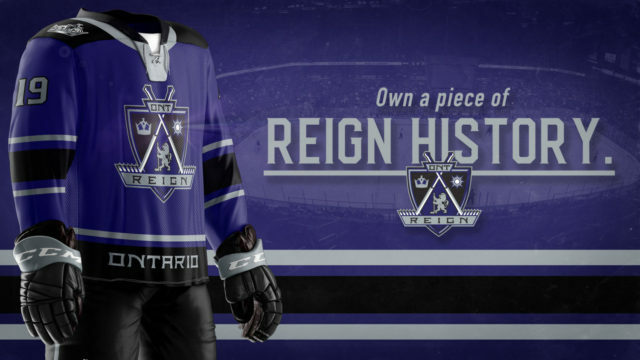 The Reign’s take on the jerseys is pretty similar, with ONT Reign replacing LA Kings. Should be a pretty sharp look in game action tomorrow evening. 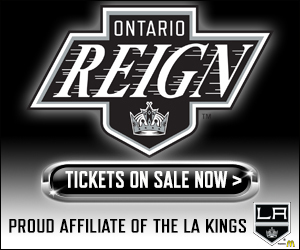 The jerseys will be auctioned off during the game via an online/mobile auction – The auction will be live at 10 AM tomorrow by CLICKING HERE or texting REIGN to 52182. Ontario hosts San Diego tomorrow evening at 7 PM and San Jose on Sunday afternoon in a 1 PM matinee – Note that Sunday’s game time is changed from the original start time (3 PM).